Washing your beard might seem easy but doing it properly - that's another story. A great beard look always needs a solid base: purified hair & skin, supple and conditioned hair you can work with either for shave or shape. To keep your beard clean and free of impurities a proper purifying beard wash scrub is much more than just a fancy necessity. 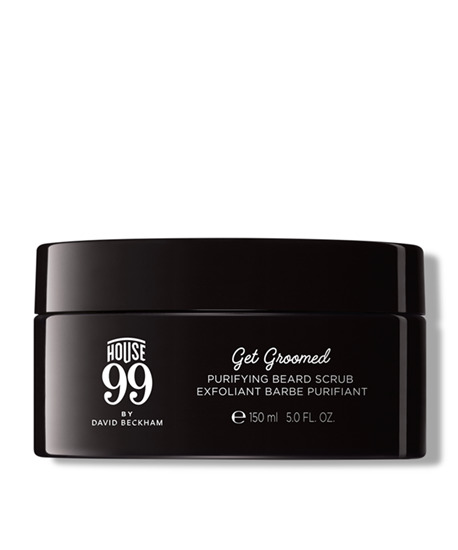 With its total cleansing rough black texture, black charcoal, volcanic stone and energising ginseng, this new pre-shaving beard scrub conditions beards for any future shape. Works for any beard length from short beards to long beards. Removes beardruff from the first use. How: Apply the beard wash on wet face/beard, gently scrub & rinse with warm water. When: 2 or 3 times a week, morning or evening, in the shower.